In the interests of full disclosure, I want to say that the author of this book is a person I know. We have only met in person once, but we are regular correspondents over social media and I have followed her work for some time. That said, I have done my utmost to remain objective both in my reading of the novel and the construction of this review, and I have not let any personal opinions cloud my judgement. So. Let’s begin, shall we? 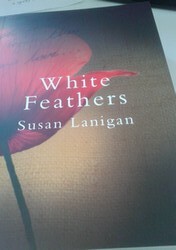 White Feathers is a historical romance, based in Britain and Ireland at the outbreak of the Great War, and in its observation of the time, it is note-perfect. I am passionate about the history of the First World War, and the societal mores which governed this period, so in that sense White Feathers played right into my interests. The very idea of giving someone a white feather – the notion that women were encouraged to think of themselves as being the arbiters of social justice on one hand, while the real issue, the fact that they were disenfranchised and in all real senses denied the human rights which should have been theirs without question, was left to fester on the other – is fascinating, and tragic, and terrible. Eva Downey, the heroine of this novel, isn’t a woman who takes what she is given, though, and for that reason (among many) her story is worth reading. The Prologue of this novel gives a great sense of the story’s feel and setting. We are introduced to a young woman, sitting in a train carriage in a beam of golden light, trapped like a fly beneath amber – both in terms of her era and her story, and her literal position – and we know a tale is about to be told, one in which someone feels they deserve to take the blame for something as yet unnamed. We know that a war is taking place, and that it has taken a huge toll. This encapsulated moment of pain bursts as we begin Chapter 1, and we enter another train carriage carrying another two women, one of whom is Eva Downey and the other her guardian, Mrs Michael Stewart. Eva is being sent to a finishing school in London, which has been paid for out of a legacy left to her by a Mrs Elizabeth Jenkins as thanks for Eva’s work on a publication entitled The New Feminist. This reality has caused huge uproar in Eva’s family, not only because her stepsister Grace has not been afforded the same luxury, but because her younger sister Imelda is seriously ill with consumption, and Eva’s removal from the family throws the burden of her care onto her deeply unpleasant stepmother and largely absent father. This is on top of the fact that Eva is seen with distaste by practically everyone, being a young woman who has expressed an interest in women’s suffrage and who is, in general, no fool. Eva settles into her new school, meeting Sybil Destouches, the great-niece of the woman whose legacy has allowed her this expensive education, as well as other girls who can’t quite get over the fact that Eva is Irish, having been born and raised in Cork. Letters home reveal that Imelda’s condition is worsening, her odious stepmother isn’t helping, and Mr Cronin – a dreadful man who wished to marry Eva, but who was rebuffed – is still hanging around. Meanwhile, in London, Eva’s feelings for her English Literature teacher, Mr Shandlin, develop from intellectual regard into something deeper, and slowly – encouraged by the incorrigible (and brilliant) Sybil – they reveal their feelings for one another. All the time, the war hangs in the background, waiting to pounce. Then, Imelda’s health worsens and Eva is summoned home. A pioneering new treatment exists in Switzerland for tuberculosis patients, one which plugs the holes in their diseased lungs with tiny pellets – but it is ludicrously expensive. Grace, Eva and Imelda’s stepsister, is willing to devote half her sizeable dowry to ensuring Imelda can receive this treatment, but it hinges on one huge condition: Eva must present her beloved Mr Shandlin (a man of whom her family does not approve, both because he is a mere schoolteacher as well as a ‘Conshie’, or conscientious objector, for heartfelt personal reasons) with a white feather of cowardice. If she does this, Imelda’s treatment will be paid for and her life, possibly, saved. It will also spell the end of Eva’s own happiness. Eva’s decision, its consequences, and the life which unfolds for her after this pivotal moment plunge us straight into the bloody, brutal heart of war. Eva and Sybil volunteer as medical aides, going to the front and witnessing the worst of humanity; Eva goes down avenues she never would have expected, bringing her into contact with a woman whose presence in her world will later bring Eva a crumb of redemption. A scene in which Eva and Sybil are in a lifeboat, abandoning a sinking ship whose propellers are still churning, was – for me – the best passage in the book, summing up the tension and needless destruction of life, and the bodily horror of what people all over Europe were experiencing at that time. There were things I didn’t like so much, primarily the unrelenting evil of Eva’s stepmother, the way in which Grace’s story was wrapped up, and the fact that several very important parts of the novel were narrated ‘after the fact’, either in letters or simply dropped into conversation as though they were nothing. Without wishing to give away spoilers, one of these (which came near the end of the book) made me slap it shut for a while, until I recovered from my feelings of being cheated, before continuing. Having said that, perhaps it’s designed to mimic the experience of people who lived through the war, only learning important things about their loved ones once weeks or months had gone by – but I can’t say it pleased me as a reader. I also felt, perhaps, that there were a couple of coincidences too many – people being related to people, or showing up just when they were needed – but that was only a small quibble. However, I enjoyed the setting, the unflinching look at historical reality, the character of Sybil (with the exception of one scene, which left me shouting ‘No, Sybil! What are you doing?’ at the pages), and Eva’s gentle love story. I think the strongest praise I could pay this book is to say that it kept me reading – and I’m not a person who normally goes in for grand romances. It’s a timely, touching, intelligent and lovingly written book, and it’s worth the read. This entry was posted in Uncategorized and tagged book review, book review Saturday, books about World War One, books set during World War One, novels by new Irish writers, Susan Lanigan, The Great War, wartime novels, White Feathers, winner of the Irish Writers' Centre Novel Fair 2013 on September 6, 2014 by SJ O'Hart. I seem to be having a ‘colonial New England’ sort of summer. First, I read (and enjoyed) Ghost Hawk, and then I noticed Witch Child sitting on a stall at a booksale, unloved, and I decided to bring it home. It’s not a new book – my edition bears the proud publication date of 2000 on its fly page – but it was well worth the purchase price. This book tells the story of Mary Newbury, a mid-seventeenth century girl of about sixteen. It is framed within a clever narrative structure – the book purports to be an academic study, with a prologue and epilogue written in the voice of a woman who is doing research into Mary’s life, and I really enjoyed that aspect of it. The entire novel (excepting this prologue and epilogue) takes the form of a diary, written by Mary, which has survived almost four centuries, and its first-hand, primary-source feeling pervades the story. 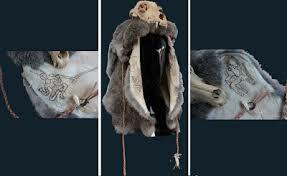 From the outset, Mary tells us she is a witch, or that she is believed to be – which amounts to much the same thing. She lives with her grandmother, who is accused of witchcraft and executed at the novel’s opening; after this, she is taken in by a benefactor who arranges, hastily, for her to be sent to America on board an emigrant ship as part of a group of Puritans escaping religious persecution. She goes, both because she knows she has no choice, and because there is nothing for her to go home to. Her sense of loss is palpable, and her memories of her grandmother are poignant, catching her by surprise at points through her tale, just like grief is wont to do. On board the ship she meets and becomes close to a middle-aged woman named Martha, who becomes a sister-mother figure to her, as well as an apothecary and his son whose fates become linked with hers. Others among the Puritans are not so friendly, but Mary tries to keep to herself, hiding her diary from prying eyes despite the fact that her literacy, and her ‘fair hand’, draw a lot of unwelcome attention. She is aware of the tinderbox nature of the living arrangements – not only are the passengers living on top of one another, but she understands that the merest sniff of any connection to witchcraft will spell her doom, and everyone seems to be hyper-aware of it; Mary therefore lives in fear of being ‘found out.’ She also becomes close to one of the young sailors on board, which is met with disapproval and questioning by some of her fellow emigrants, and this theme – that of the strictures of Mary’s life restricting her carefree nature – recurs throughout the novel. When the emigrants eventually arrive in New England, they do not find the rapturous welcome they expected, and they face into their first winter with no crops, no homes and the knowledge that they must make a long journey inland, during which they will be dependent on their Native guides for survival. I really enjoyed so much about this book, including Mary as a character, of course, as well as Martha, and the realities of their lives in England, on board the ship and also in the New World. Celia Rees’ writing is rich and detailed, and Mary’s voice is wonderful. I felt the pain of her loss, the fear of her voyage and the bittersweet nature of her feelings for Jack, the young sailor, and when her ability to write brings her into the circle of the creepy Reverend, I felt my flesh crawl at the fate I felt sure was laid out for her. 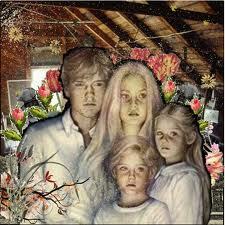 I also loved the secondary characters of the apothecary and his son, and how their plots intertwined with Mary’s. There is also a fascinating interplay between the young women of the colony, inspired by the real-life Salem witch trials of course, but which is also so much a part of any group of young women forced to live together in a highly pressured, unnatural environment where their only means of advancement lies in finding a husband. I thought this aspect of the novel was handled very well, and at several points I read with my breath held. 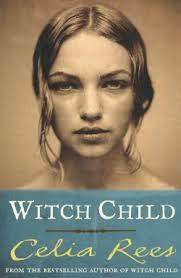 I am interested in the history of witchcraft and witch-trials anyway, and this book definitely fed into those interests, but it’s also an excellent story, well told, which should appeal to anyone who enjoys historical fiction. It’s not a ‘typical’ YA novel, so don’t let that put you off! If this book is new to you, I’d say give it a go – and don’t forget to let me know what you think. This entry was posted in Uncategorized on July 26, 2014 by SJ O'Hart. The Giver is a book I should have read years ago. I wish I’d had this book as a younger person. Reading it as an adult is, I’m sure, better than nothing – but reading it as a teen (which I was in 1993, when it was first published) would have been fantastic. But then, everything happens as it must. The Giver is a masterclass in world-building. As we read the book, realities about the world that Lowry creates come effortlessly (on our part, at least) to the fore. She expertly paints a world which is recognisable, but very different from ours – and the means by which she gradually reveals it are magnificent. I won’t say more for fear of spoilers (though I’m sure a lot of you will have read this book already! ), but suffice it to say that I was impressed. The novel tells the story of Jonas, who is preparing to ‘become a Twelve’, which means he will no longer be considered a child in his community but will be bestowed with the societal role he will bear for the rest of his adult life. He will enter training, he will socialise for the most part with his fellow trainees, and the gradual process of splitting away from his ‘family’ will begin. He lives with his parents and his younger sister Lily, who is about to become an Eight. She, too, is facing her own milestones of development – her ‘comfort object’ (a stuffed elephant) will be removed when she becomes an Eight, and she will be given – for the first time in her life – a jacket with small pockets to symbolise her growing maturity and the fact that she is now trusted to look after her own small trinkets. Nobody has ‘birthdays’; a ceremony held every December marks a child’s changing from a Three to a Four, or a Seven to an Eight or, most significantly, an Eleven to a Twelve. Jonas’ community knows no pain, nor hunger, nor suffering, nor strife. 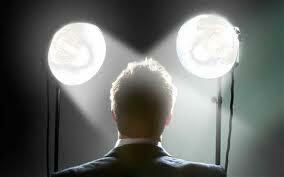 Everyone has a role, to which they are suited. Everyone serves. Everyone is exactly the same. Everyone takes pills from the onset of adolescence – including Jonas, early in the book – to counteract what is referred to as Stirrings, and which can be understood as nascent hints of sexuality; I preferred to think of the pills as emotional anaesthetics. The community, which initially seemed such a Utopia, slowly reveals its darker face. During the ceremony in which Jonas becomes a Twelve, the leader of the community calls each child in turn and gives them the role they will fulfil for the rest of their lives. When she comes to Jonas, she skips him – and the disconcerting effect is felt by everyone. At the ceremony’s end, the leader brings Jonas before his people and tells him that he has been designated as the new Receiver of Memory, a role which has remained empty since a failed successor was appointed ten years before. Nobody wants to discuss this failure: it seems to cause great pain and discomfort, and the topic is avoided. Jonas is afraid, and unsure of what is facing him. All the other children have had experience of the roles they will now be fulfilling, and they don’t have to deal with the unknown as he must. He reports for duty and finds the current Receiver of Memory – an aged man, working alone, with shelves filled with books and the ability to switch off the surveillance which all other citizens are subject to – and he begins to understand the scope of the task facing him. Now that Jonas has become the new Receiver of Memory, the old Receiver becomes the Giver – and giving memories is exactly what he does. 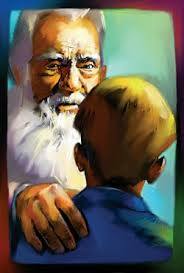 Jonas gradually learns, with the help of the Giver and his own natural abilities, that all is not well in his world. He begins to see and feel and think things which are unacceptable, and the inner struggle this creates is expertly expressed. Jonas begins to see everyone – his parents included, most particularly his father – in a strange and terrifying new light, and the truths behind his life, and that of his community, which have never been faced up to before, begin to torment him. I have rarely read a book which deals with huge universal themes (morality, good and evil, authority structures and power) as expertly as it does with the quieter, more personal themes of growing up; certainly, I don’t think I’ve read a better one than The Giver. It’s really hard to review it without giving away all the community’s secrets, and without spoiling the gradual way in which Lowry builds not only her world but also Jonas’ growing knowledge of it, but all I can say is that it is reminiscent of the learning process itself, the gradual changing from ignorance to knowledge. Some of it happens in chunks, and more of it happens gradually, just as it is for Jonas in this story. The book’s conclusion was, I felt, perfect – though my frustration at its ambiguity was tempered when I learned that sequels exist. 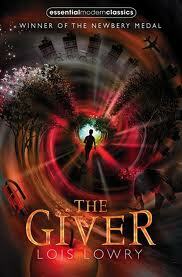 However, even as it stands, I think The Giver is a monumental work. I can understand why it creates such controversy, and why it has been challenged and banned in schools; because I understand it, however, does not mean that I agree. The Giver is a book that made me think. That is what the best literature is supposed to do. Anything less – anything which coddles us into believing our own perfect little Utopia is eternal, never-changing, safe and unassailable – is what needs to be challenged, to my mind. I’m grateful for The Giver. It will live beside Ursula le Guin and Madeleine l’Engle on my bookshelves, and I hope I will always remember its message. This entry was posted in Uncategorized and tagged book review, book review Saturday, classic children's books, dystopia, dystopian children's fiction, Lois Lowry, Newbery Medal winner, Receiver of Memory, The Giver, Utopia on July 12, 2014 by SJ O'Hart. When you encounter a book you like, do you do what I do and Google the author’s name? He *what? * A citation for not eating his lunch in kindergarten? Awful! I have to admit to being quite a nosy person. I’m interested in the minutiae of other peoples’ lives, like what they dreamed of being when they were young or what their favourite smell is, or how they feel about string. This is why Google is both the best thing in the world, and the worst, for a reader like me. It’s all very well when the author you’re Googling is someone like Neil Gaiman, who is unspeakably cool in every respect and whose every fleeting thought is a masterpiece (allegedly); what happens, though, when you absolutely love a book but then discover that its author was – or is – a raging misogynist or a self-confessed homophobe or a murderer or someone who really, really doesn’t like string? Should it even matter? Should our feelings about the life of an author have any bearing over their work at all? During the past week, there was a celebration of the work of V.C. Andrews over on the-toast.net. A whole day was given over to the work of Ms. Andrews, an author whose name sets of tingling thrills up the spine of most readers of my vintage, and I was delighted to see such kitschy pleasure taken in her work. I, like most people I know, was fascinated with Andrews as a teen: her work took me to a weird place which was almost magical-realism, almost something far more frightening and adult and distasteful, yet somehow compelling. 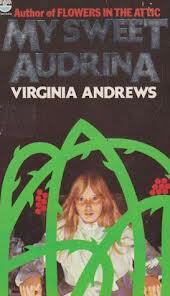 My favourite of her novels was ‘My Sweet Audrina’, a book which gave me nightmares for years but which was also, in a strange way, like an addictive drug. 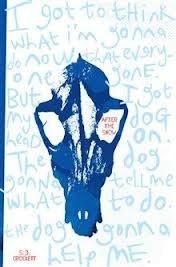 This was what the cover of my edition – I mean, someone else’s edition – looked like. After I’d had a good old browse through the Toast website and realised I was far from the only Audrina fan out there, I decided to do my usual thing and Google the author. I’d never thought of doing this for V.C. Andrews before, mainly because it’s been the best part of two decades since I’ve read anything by her, and what I found was almost as weird as anything you might come across in her novels. Following a childhood accident, where she fell down a flight of stairs, Andrews had unsuccessful spinal surgery which left her with crippling injuries. She lived the rest of her life in pain, confined to a wheelchair a lot of the time. One interview with her editor recounted how Virginia sometimes needed to be strapped to a board, and was often reliant on her mother’s care. When you consider that her novels are famous for featuring children who were kept captive and who had complicated relationships, to say the least, with parents – particularly grandmothers and mothers – her ‘real’ and her ‘fictional’ lives take on a poignant sheen. I think my new knowledge about Andrews and the reality of her life will affect the way I think about her work in the future; whether it will enhance my experience of her writing, or detract from it, remains to be seen. She’s not really an author I read much any more, so perhaps it’s a good thing that I only learned about her life now, and not as a younger fan. I’m glad I got to experience her books for myself, free of any knowledge of their creator. I was fascinated to learn about her on another level, though, because Andrews’ life was remarkable in a lot of ways: not only did she implicitly understand what it felt like to be ‘in captivity,’ but she was also a very successful commercial artist and fashion designer prior to her writing career. Perhaps it’s no wonder her novels have this soft-focus, hypnotic quality, like you’re reading them through a layer of tulle; in them, one could say, we’re reading Andrews’ dreams for her own life. So, sometimes Googling an author can be interesting. Having said all this, of course, it’s not for me or anyone else to say how much influence Andrews’ life had on her work; in a way, it’s not fair to speculate. As a human being, though, I can’t help it. It’s one thing to find out that a person whose books you love struggled with ill-health during their life, but what do you do when Google uncovers something far worse? When you come across an author who holds abhorrent personal views on something you hold dear, or who you discover was a rather nasty person, does it affect the way you read their books? A prominent SF author has recently declared his opposition to marriage equality and his stance on President Obama’s administration (he’s not in favour, to say the least). His criticism is a little off-the-wall, to my mind, and he’s receiving a lot of flak from readers and non-readers alike. I, personally, am a fan of this author’s work, but I’m not sure whether I’ll be able to read it with the same pleasure now as I used to. I’m also not sure whether this is fair – everyone is surely entitled to their own opinion, however much it may differ from mine, and an author is entitled to write about whatever inspires and excites them – but is it really so strange that I’d find my mind straying to what I know of the author while I read his work? Maybe it’s just me. Perhaps my innate nosiness leads me into places I shouldn’t go, and I’d be better off not researching the lives of the authors I love. I should read their work in the bubble of ‘separateness’ from the rest of the world in which they were created, and – no doubt – in which they were intended to be read. Happy weekend, everyone. It’s Friday! Go read some Virginia Andrews. This entry was posted in Uncategorized and tagged abhorrent personal views, authors, authors as real people, authors' real lives, books, Flowers in the Attic, Google, Googling your favourite authors, marriage equality, My Sweet Audrina, Neil Gaimain, President Obama, things which influence your reading of a book, V.C. Andrews, Virginia Andrews on August 16, 2013 by SJ O'Hart.